The Head Retro St Tropez is a trendy, eye-catching holdall manufactured from leather look PU for a touch of style and a vintage look. It is great for travelling and weekend getaways and has a one main double zipped compartment with a decorative padlock with keys, as well as a zip off end pocket with a similar fixed compartment at the opposite end of a bag. This practical holdall is equipped with dual carry handles and an adjustable, detachable shoulder strap with metal fastenings ensuring easy transportation. It is suitable for the gym and leisure use and features water resistant lining for enhanced durability and protection of your belongings. for submitting product information about Head Retro St Tropez Holdall We aim to answer all questions within 2-3 days. for submitting product information about Head Retro St Tropez Holdall. We aim to answer all questions within 2-3 days. If you provided your name and email address, we will email you as soon as the answer is published. 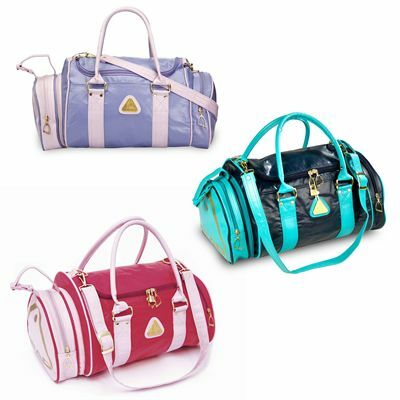 Do these bags come with the shoulder straps as shown in the photos? Yes, holdall is equipped with carry handles and an adjustable, detachable shoulder strap with metal fastenings ensuring easy transportation. Does this bag have a zipped 'wet' compartment alongside the main compartment that is usually used for wet swimwear etc? The Head Retro St Tropez Holdall has one main double zipped compartment, as well as a zip off end pocket with a similar fixed compartment at the opposite end of a bag. This can be used for swimwear as the bag is lined with water resistant lining. A lovely design and well made. Perfect for swimming due to the separate compartments. I also hang my reefs of the hanging straps. Second purchase for my husband as I liked mine so much. Prompt delivery, good price and slightly larger than my old Head bag. Love the colours size. Great bag. My friend loved it, amazed it had lots of areas to place gear, made well and all zips worked. Item sold as described and a great retro gym bag. Very good service and mighty swift delivery too. It was exactly what I wanted at a reasonable price . I liked the fact that you can detach one of the end pockets. Very quick dispatch and delivery. 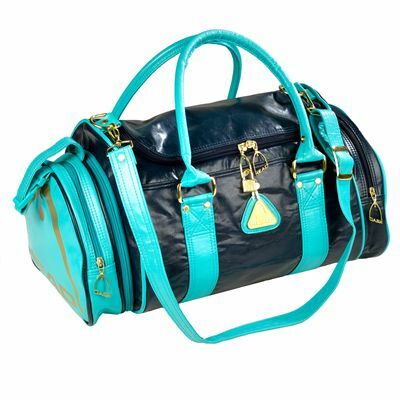 I wanted to find retro style gym holdall that I used to use when I was at school ten plus years ago. As most sports bags are made very differently nowadays, this is the perfect retro style bag I was after. Stitching ripped after a couple of weeks. Delivery was swift. It is good a quality + exactly the same in design as it was when I had one as a teenager! Really pleased with this bag. The bag arrived promptly and I have no complaints about service. The price is also reasonable. However I was disappointed with this sports bag. I have been buying Head bags for years and I do feel that the quality has been steadily deteriorating. The zips were stiff and difficult and the plastic material was hard and ungiving. The bag itself is too long for the average gym locker. The colour is as described. I have given it to charity now and bought another bag. A waste of money as far as I am concerned. As described - great value. It is a gift with a sentimental attachment to one owned as a child. Fast delivery. bought in a raspeberry color. the material and thus the bag is a bit stiff to touch, but in overall good bag for the purpose needed. for submitting product review about Head Retro St Tropez Holdall.